Alaska has always been a little different from all the other states in America. It is miles away from the rest of the country and it is very close to Russia, and they have always valued the right to grow your own cannabis. Well, sort of. Growing cannabis in Alaska has been allowed for everyone since 1975 when the rest of America was beginning to fight to make it disappear. The Alaskan right to privacy said their citizens are allowed to grow plants in their own homes and have up to four (4) ounces in their possession. The important point about this was that it was only in a private residence. The minute marijuana was taken outdoors; it became illegal. Alaska considered it a misdemeanor to have 1 ounce on your person unless you have a medical condition. In 2014, Alaska residents voted to legalize marijuana and this change would override Alaska’s long-standing right to privacy, making marijuana something that no longer needed to be hidden. 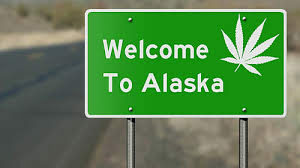 By 2016, Alaskans were able to purchase marijuana and possess it in public (not consume). Adults, age 21 or over, may now possess up to one (1) ounce of marijuana and grow up to six (6) marijuana plants (no more than three mature) in their residence for non-commercial purposes. In an Alaskan residence with two (2) or more adults growing cannabis, it has been limited to twelve (12) plants with only six (6) being in the flowering stage. But, that’s still plenty of marijuana for anyone to enjoy, especially if you know how to grow high yield marijuana (see Master Grower Certification here). Still, legalization will likely introduce more regulations on the Alaskan home grower. A marijuana establishment and each licensee, employee, or agent of the marijuana establishment who sells, cultivates, manufactures, tests, or transports marijuana or a marijuana product, or who checks the identification of a consumer or visitor, must obtain an Alaska Marijuana Handler Permit from the Alcohol and Marijuana Control Office before being licensed or beginning employment at a marijuana establishment in Alaska, per 3 AAC 306.700. The effects of consumption of marijuana and marijuana products. How to identify a person impaired by the consumption of marijuana. How to determine a valid identification. How to intervene to prevent unlawful marijuana consumption. The penalty for an unlawful act by a licensee, an employee, or an agent of a marijuana establishment. A written test, demonstrating that each student has learned the information correctly. Green CulturED is approved by the Alaska Marijuana Control Board to provide our Alaska Marijuana Handler Permit Online Certification Program. Alaska’s medical marijuana program is for cachexia, cancer, chronic pain, glaucoma, HIV /AIDS, multiple sclerosis, nausea, and seizures. Medical users need to have a doctor’s note verifying their condition and then a medical card can be applied for online from the Alaska Division of Public Health. Growing marijuana in Alaska can be done by patients as well as caregivers 21 years old and older. The caregiver can never have been convicted of a felony controlled substances offense and must be listed by the patient as either the primary caregiver or an alternate caregiver. Patients can grow up to six (6) plants, with only three (3) being mature at one time and medical users are allowed to have up to one ounce. 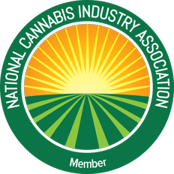 This entry was posted in Cannabis Industry, Cannabis Topics and tagged alaska cannabis training, alaska marijuana handler certification, marijuana handler permit, marijuana handler training. ‘Too Old’ to Work in Cannabis?